A simple visual link brings me somewhat unexpectedly from William Wegman to Edward Ruscha, not artists I’ve ever really thought of as in any way connected before. Admittedly, it’s a fairly tenuous connection but it was Wegman’s Spring that brought Ruscha’s Dog back to mind. 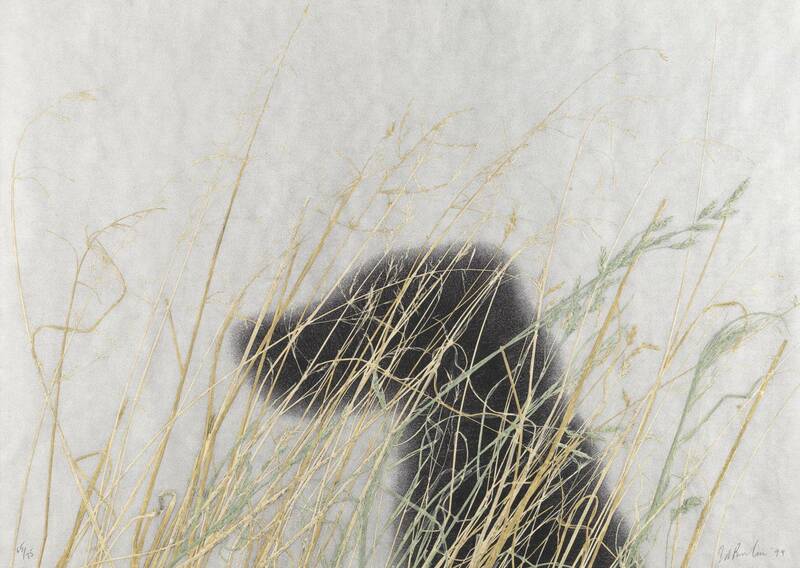 There are the obvious similarities of dogness and wispy straw like stuff and the colour palette is fairly similar. And of course, as even vaguely regular readers of this blog will be aware, I’m not one to shy away from a link purely on account of its tenuousness. Plus, importantly, I really like Ed Ruscha’s work. Not that pieces like Dog are generally the works that come to mind when I think of Ruscha (which conveniently means he’s likely to crop up in another post sometime soon). 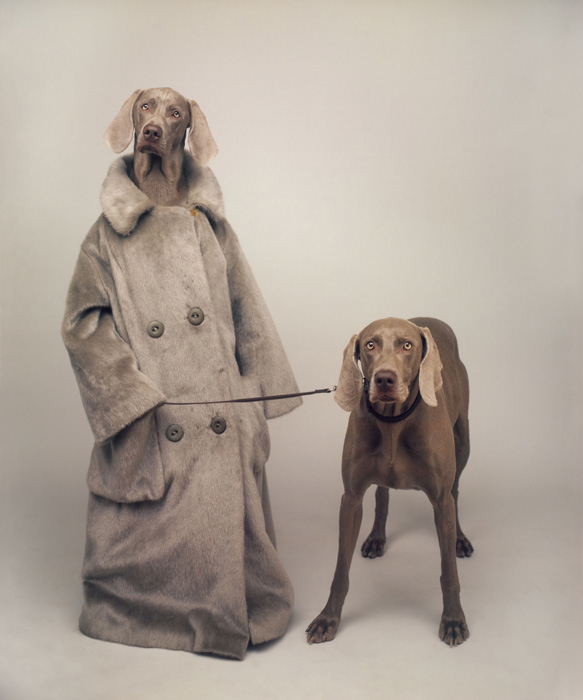 As explorations of the similarity between dog and owner go, Arnatt’s Walking the Dogs is all well and good but the definitive answer is offered, not even a little bit seriously, by some of William Wegman’s pictures. 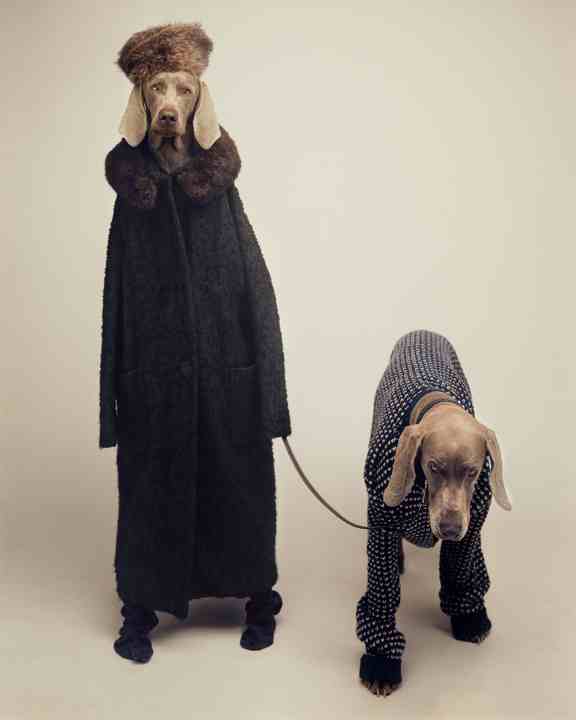 Of all Wegman’s dog pictures – and there are many and they involve some serious posing by the dogs who are both photogenic and apparently very amenable to a bit of dressing up and acting – I think it’s the dog walker ones that make me laugh the most; this is a simple idea, faultlessly realised. 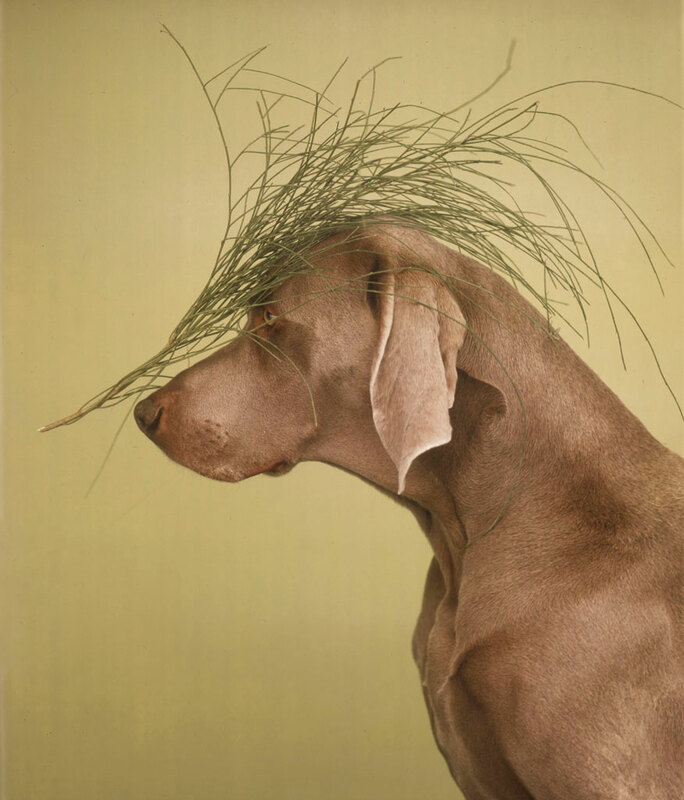 The beauty of Wegman’s work is that it feels like a collaborative practice with his dogs – first Man Ray, then Fay Ray and her off-spring – as partners in picture-making. Philip-Lorca diCorcia’s The Hamptons has made me start to think about other photographs of dogs and about how they often make me smile. Even the most cursory glance about the place reveals the internet to be all about kittens, but when it comes to actual photographs in actual galleries then I think dogs win out. So in part to get me out of the rut of writing about art I saw last year, here’s some art I saw even longer ago. Admittedly as steps forward go, this may not be a very impressive one but in mitigation, there are some really great art dogs out there and what better way to cheer up this rather rainy January than by looking at pictures one can’t help but find cheering? 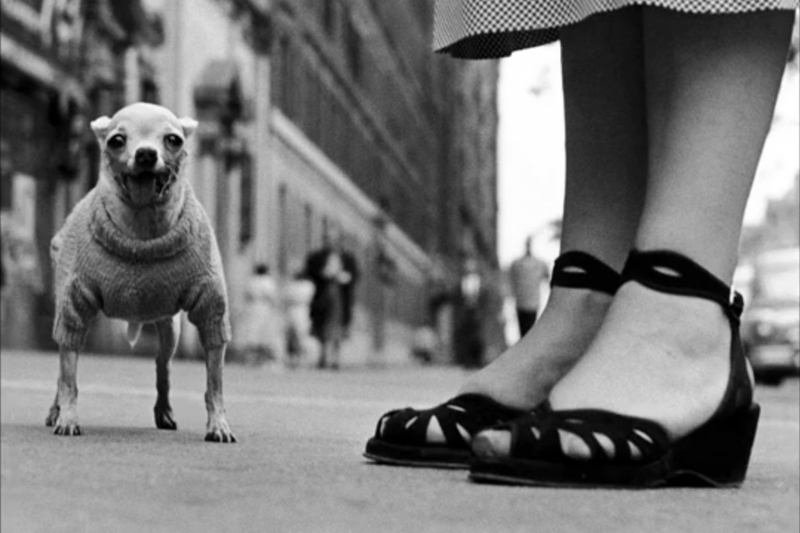 And what better way to start than with Elliott Erwitt?